This research report looks at data for the 3.1 percent of American households with incomes greater than $200,000 per annum or assets larger than $1 million. 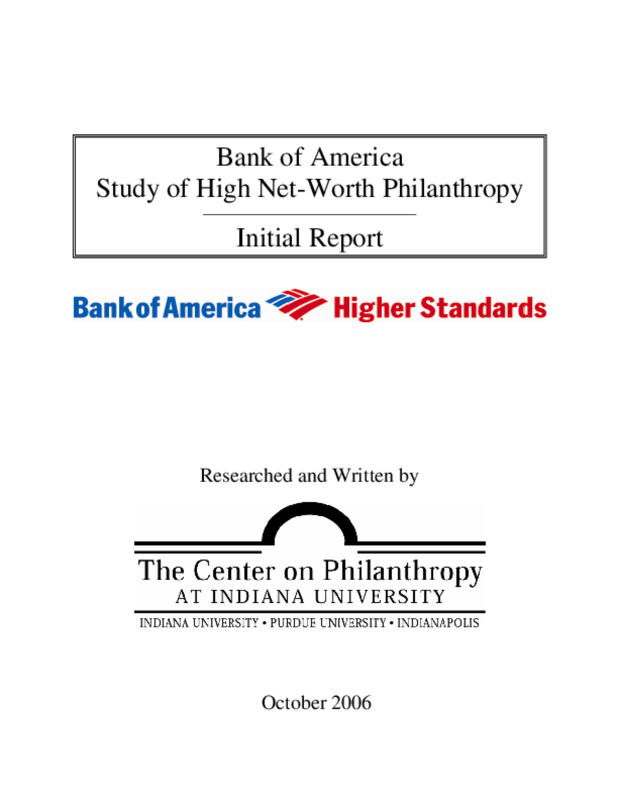 The estimated total contributions from this group was approximately $126 billion in 2005. The statistics provide information about type of recipients, fields of interest, motivations, and other characteristics of personal giving.